Hello there! Did we all survive Thanksgiving?! I’ll admit it’s been a solid 5 days and I finally feel like I am getting out of my Thanksgiving slump. I think it may have been all the food that put me into a REAL funk. I was having pie every day for breakfast, sleeping in till ten and just generally slugging it a little, which isn’t like me at all. The weeks prior I had been waking up at 5AM to start working and going until midnight. I also will admittedly tell you I had a birthday the day after Thanksgiving and I was very much feeling a ‘quarter life crisis’ for a few days. I even bought a car… but I’ll save that for another time lolz. Turning a year older as an entrepreneur is a lot scarier than what birthdays used to feel like. I worry about weird things like 401k and health insurance. There is 100% so much that you don’t see go on in an ‘entrepreneurs’ life. Just know that this crazy influencer life is 75% amazing and 25% terrifying! I also pretty much have an going feeling in life that I haven’t done enough. I haven’t gotten married yet, I haven’t boughten a house, the thought of having children terrifies me and life just has a general imbalance these days #workaholic. Whenever I have a few days like this I put on my big girl pants, drink a few green juices (and maybe some tequila) and just generally calm myself down and remind myself the world isn’t ending. I can be a little dramatic sometimes, okay?! I feel like we should know this about each other. I also managed to put up all the Christmas decorations this weekend! Nesting is one of my most used forms of anti anxiety! We have everything up except for our tree. I feel like it is also socially acceptable to start posting Christmasy/holiday-esk content! So here we go! First up is a Mrs. Claus cranberry whiskey cocktail! This is a two part series to a Santa Claus cocktail to come in a few weeks! This Mrs. Claus cocktail is filled with things that totally make me envision what Mrs. Claus would drink. Like, this is her cocktail like margaritas are my cocktail. It’s a sweet, tarty, spicy and very colorful! 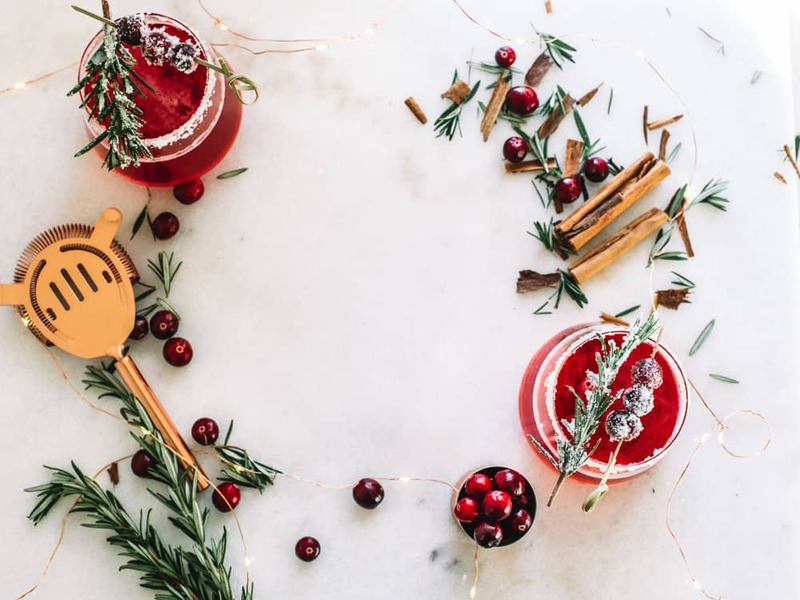 This easy Christmas cocktail is a blend of cranberry juice, whiskey, cinnamon sticks and more! 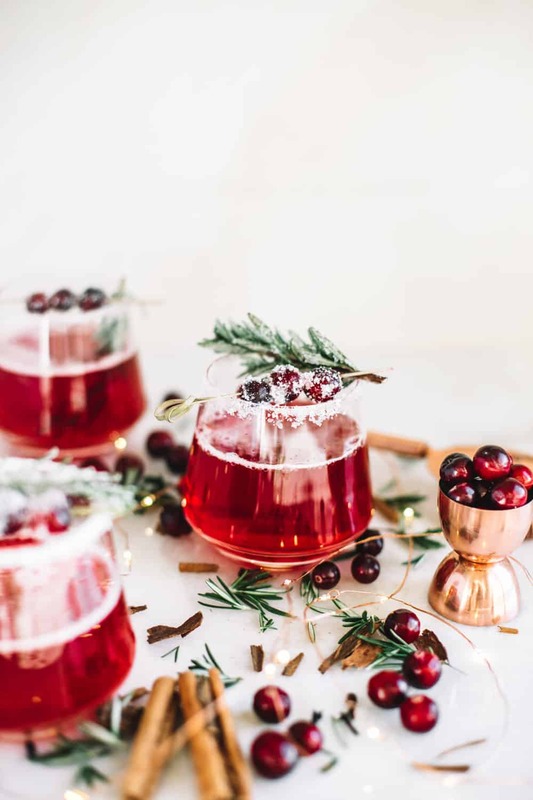 It’s the perfect holiday cocktail for those nights spent watching Christmas movies with only the Christmas tree light flowing through. Those are the best nights, aren’t they?! Break the cinnamon stick in half or add in 1/4 teaspoon of ground cinnamon to shaker. Fill shaker with cranberry juice, whiskey, rosemary simple syrup and ice. Shake for 30 seconds. Pour into glass. Serve with rosemary sprig and sugared cranberries. (Dip cranberries + rosemary sprigs into water and sprinkle with sugar. Let dry for a holiday sugared look!). *Note: to make rosemary simple syrup, bring 1 cup of water and 1 cup of sugar to a simmer. Remove from heat and add in three 5-inch rosemary sprigs. Steep for 20 minutes and strain mixture into a jar. This Mrs. Claus cocktail is filled with things that totally make me envision what Mrs. Claus would drink. 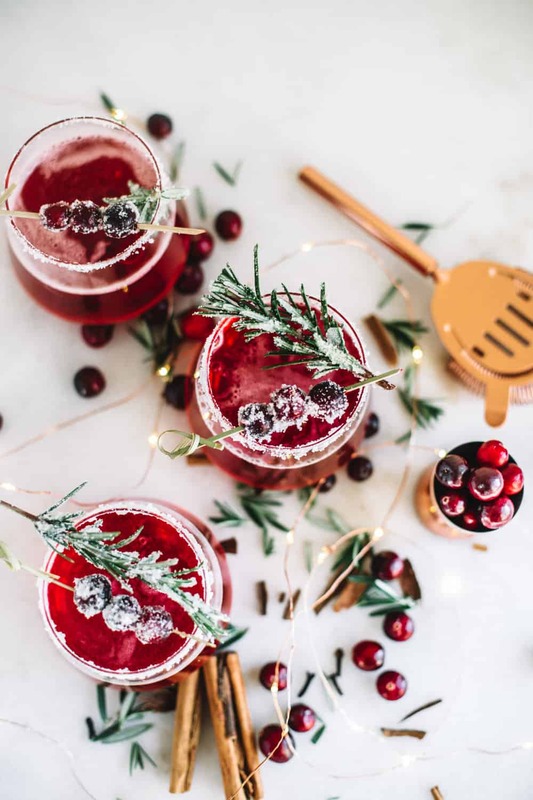 This easy Christmas cocktail is a blend of cranberry juice, whiskey, cinnamon sticks and more! 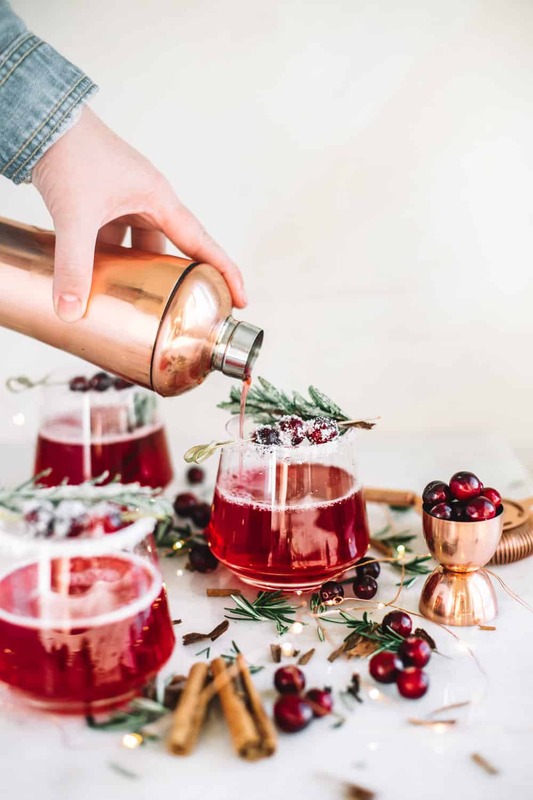 Introducing Thanksgiving’s most sophisticated cocktail! This cocktail is comprised of a homemade rosemary simple syrup, whiskey and my favorite: hard apple cider! This pomegranate polyjuice potion will turn you into your best self! Promise! To give your cocktails a smoke infused and ultra Harry Potter flare, pick yourself up a Cocktail Smoking Cloche. Not only does this ultra cool device look amazing while entertaining, it was one of the most easiest kitchen devices I have ever used! Hands down these Harry Potter themed cocktails for Halloween are one of my favorite pots to date! First one up to bat is the Elderflower Wand Martini! To shop this look go check out The Inspired Home for all the tools I used to make this cocktail! A cozy Mexican hot chocolate recipe perfect for all of you cozy fall days! Made with rich dark chocolate, spicy cayenne and topped with marshmallow fluff! This aperol pear cider spritz may be the cocktail you need to finally break up with summer! 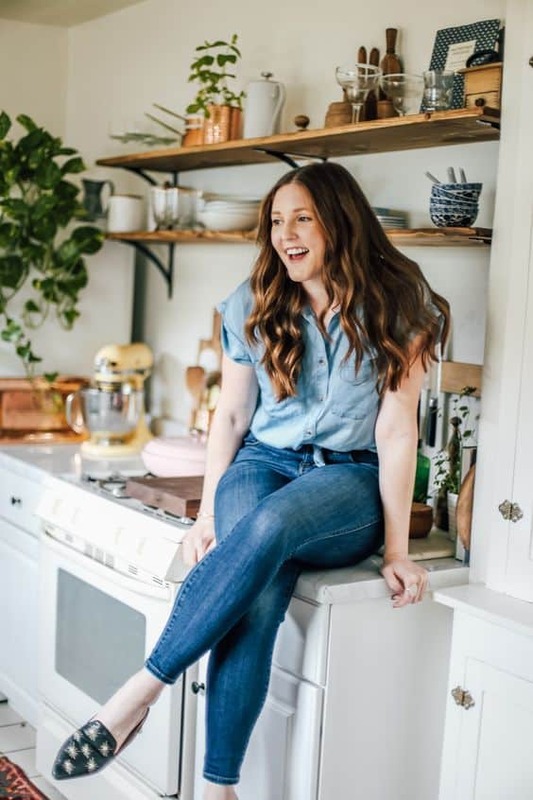 Don’t miss this fall twist on my favorite summer classic! New video! + easy recipe for frose with a few simple ingredients like frozen rosé blocks, sweet strawberry simple syrup and frozen peaches. 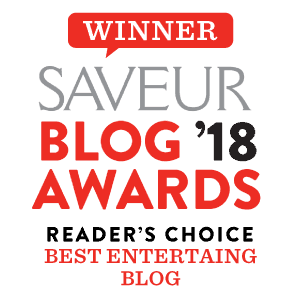 All you need is one blender and plenty of wine glasses! Charred Pineapple and Jalapeno Mezcal Smash! Basically my cocktail love language. This cocktail is filled with fresh smashed pineapple chunks, jalapeno slices, tart lime juice, agave nectar and smoky mezcal. I used agave and a sprig of rosemary because I was in a rush. Still super delish! Keeper. We made these and they were delicious! So delicious they got a second go’round, with slightly less cinnamon.